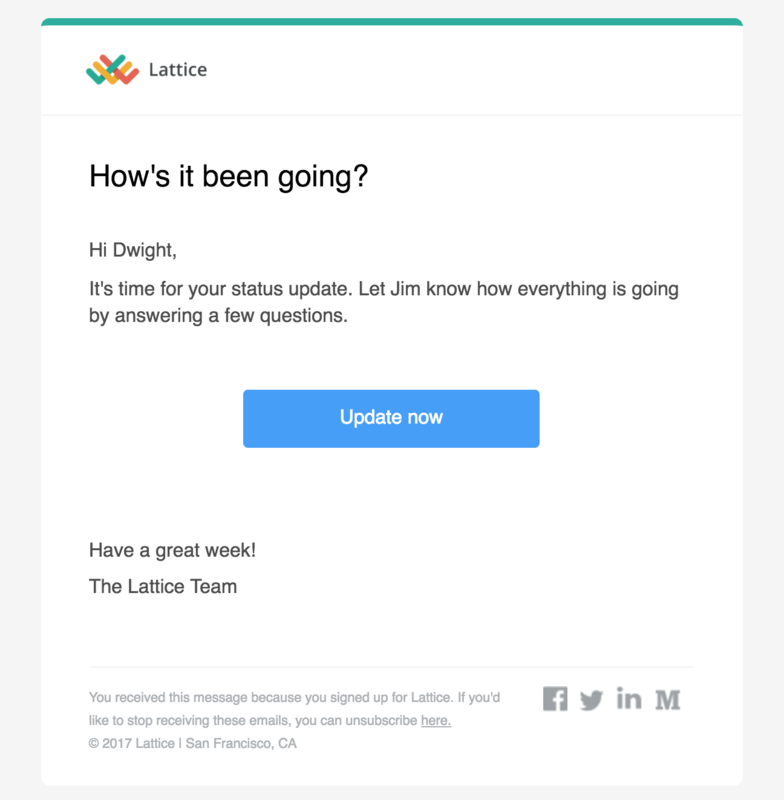 Lattice will send out a reminder email when your Update is due. You can access your Update page by clicking on the "Update Now" button inside of the email. You can also access your Updates page whenever you'd like by logging into Lattice and clicking on the You Page in the top middle of your screen and then clicking on "Write new update." Once you've clicked on "Write new update" you will be taken to a page where you can fill out your new Update. In addition to publishing an Update, you can view past Updates on the lefthand side or "Save [an Update as a] Draft" on the top right corner. When you're ready to submit, just click the "Publish Update" button at the bottom of the Update page. 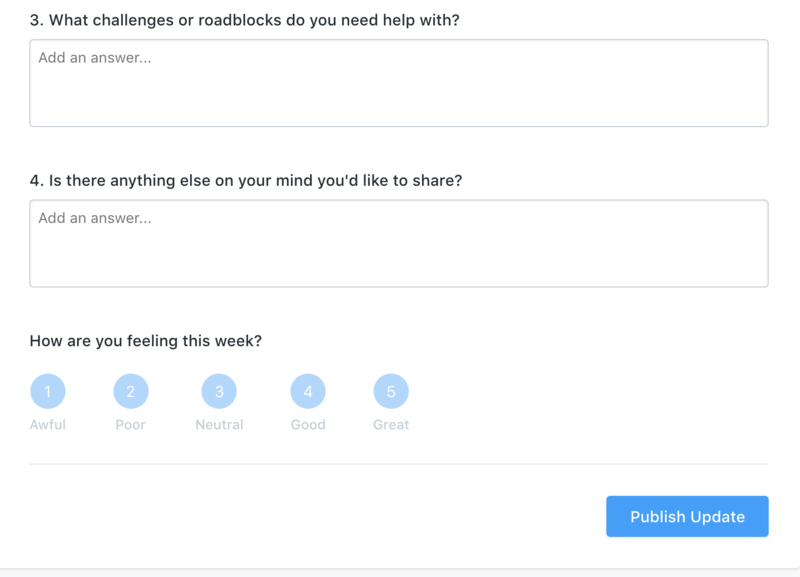 Your Manager will be able to see and respond to your Update.